Helsinki is for a good life. Helsinki’s vision is to be the world’s most functional city. In pursuing this vision, it seeks to create the best conditions possible for urban life for its residents and for visitors. The city’s strategic intent is to do things a little bit better every time, in order to make the life of Helsinki’s residents easier and more pleasant. Helsinki wants to improve things every day. The basic task of the city is to provide quality public services and create conditions for a stimulating and enjoyable life. Helsinki is a good home and, in the capacity of Finland’s capital, a shared living room for everyone in Finland. As an internationally oriented metropolis, Helsinki also serves those coming from elsewhere. A functional city means concrete actions and choices that make everyday life smoother for residents. A functional city means that child day care is close at hand, children feel safe walking to school, services for the elderly are easily accessible, and road work is carried out so as to cause minimum disturbance to residents. A functional city has many strengths and few weaknesses. Functionality is based on equality, non-discrimination, strong social cohesion and open, inclusive ways of operating. Everyone feels safe in Helsinki. A functional city is based on trust. Safety and a sense of mutual trust and togetherness are a competitive edge for the city. The city is for everyone. The city is built together. Being a functional city is a path for Helsinki to create advanced everyday life. Helsinki is safe and pleasant, smooth, easy and caring. Helsinki is a resident- and user-oriented city. Each resident – whether young, old or functionally impaired – has the opportunities to lead a quality and eventful life and to receive the support and services needed for all stages in life. A functional city is an advantage especially for ageing people and those in need of help and support. When global problems come to a head, companies and experts increasingly appreciate a well-organized, reliable and predictable operational environment. The best economic and business policy is to be a functional city. Helsinki is a combination of rational functionality and original roughness. Helsinki is a modern, dynamic and vibrant city providing world-class opportunities for self-fulfilment and an enjoyable life in a safe, reliable and functional setting. Helsinki is a city of very special contrasts. Our open, inclusive and unique culture constantly generates new and unexpected things. This combined with the city’s functionality and reliability, its world-class education and arts and culture offerings, hi-tech skills, exemplary use of open data, and its comprehensive understanding of design, creates great conditions for both a stimulating everyday life as well as for finding solutions to significant global challenges. Helsinki furthers tolerance and pluralism, becomes more international and provides conditions for the creation of interesting destinations and events. True, vivid bilingualism is a great asset to Helsinki. The city boosts the advancement of viable big events and invests in attracting and creating major cultural and sports events, as well as congresses and conferences. Helsinki is committed to promoting tourism, and encourages everyone to come up with ideas to make the city even more attractive. Helsinki’s objective is to be one of Europe’s most captivating locations for innovative start-ups and the most attractive knowledge hub for companies and individuals wanting to make the world a better place to live in. Helsinki is big enough to be a place where you can develop and systemically test significant innovations, and small enough for it to be feasible in practice. Helsinki is, at the same time, both reliable and creative, both spontaneous and organized. The new models of sharing economy that are being created by residents and companies make the city more diverse in an inclusive and economic way. The long-term objective of the city’s business policy is for private-sector jobs to increase at least at the same rate as population growth. Work continues on developing the Maria 0-1 area into the largest growth business campus in northern Europe and on strengthening the position of the Meilahti campus as an internationally significant innovation and business environment in the health sector. The entire city is developed as a platform for experimenting and creative business activity. Helsinki is stable and responsible, safe and reliable, but also at the same time dynamic and highly in tune with today. Constant and agile developing of the city’s own functions and practices is the best guarantee for the city to deliver on its promises in public services, for keeping up a vibrant urban life and for strengthening the international appeal of the city. In all its activities, Helsinki is aware of its basic role as a service provider. Helsinki has a down-to-earth, pragmatic perspective on things. Satisfied residents and customers increase the work satisfaction of city employees and are also the best way of channelling the enthusiasm and creativity of residents into shared benefit. Resident and user satisfaction are one of the most important indicators of the city’s successfulness. Helsinki strives to make better sense of global change. Helsinki increases its own staff’s understanding of artificial intelligence and other technologies currently changing our world, as well as of the opportunities that this development opens up for the city. It does so by providing tailored training in artificial intelligence and new technologies to leading officials and key planning staff. Helsinki aims to be the city in the world that makes the best use of digitalization. Helsinki ups the pace of its own decision making capacity, capacity to predict and to react, and pursues an orderly change of rhythm in everything it does. Helsinki will improve the efficiency of policy-making models and service processes and lighten bureaucracy. Helsinki is primarily a place and a community, not a bureaucracy. The city is the sum of its distinctive neighbourhoods, an urban, communal entity of its residents, entrepreneurs and visitors. Helsinki increasingly understands its role as the creator and enabler of possibilities. Helsinki actively forms partnerships with residents’ organizations and with everyone interested in developing and vitalizing the city. Besides being a service organization, Helsinki is a platform and the world’s most progressive public sector ecosystem. Helsinki develops digital solutions, which make it easy for residents to follow and engage in matters of interest and concern to themselves, regardless of whether they are the city’s or other actors’. Helsinki’s operating model is based on openness and transparency. Helsinki is the world’s leading city in opening up and utilizing public data. The most important ingredients and factors behind the city’s reputation are the residents themselves. The city is never complete, but it is being built every day through joint effort. A healthy, mutually respectful pride of one’s own neighbourhood is part of the city’s identity. Helsinki strengthens its position as an international forerunner in inclusion and transparency. Each resident of Helsinki has the right to feel they are a true Helsinki citizen and to do something significant for their community. In Helsinki, it is easy to be of help to others. The city strives to maintain the trust of residents and companies, to strengthen their real influence and to improve equality, service standards and mutual understanding between population groups through modern models of inclusion. Gender equality is a principle permeating all activities of the city. To promote gender equality, a research-based project is to be launched to assess gender impact in a number of selected services. The city contributes to dialogue and encourages those in a weaker position into civic engagement. The customer is always a stakeholder in his or her own public services. Design is a significant distinctive factor that makes Helsinki stand out internationally. Helsinki strengthens its international profile as a design metropolis. A good user experience of the city to its citizens is created through a combination of design, digitalism and dialogue. The city ensures that the aims of the recent organizational reform are achieved. These include especially inclusion, cost-efficiency and being resident-oriented as well as improving the governance of the city as a whole. The focus during the present City Council term is to ensure the full benefit of the organizational reform as well as to renew the city’s leadership practices. The city is led, and its personnel policy pursued, in an ethical, responsible and sustainable manner. The city of Helsinki as an organization is a good place to work, where the goal is excellent people leadership. During the present Council’s term, the city will improve management and leadership work and develop its communications operations. The ownership policy in the city concern should in the first hand be the kind that helps and supports the organizing and producing of public services, the city’s economy or otherwise the city’s broader societal goals. Transparency and inclusion are developed throughout the city’s concern. Ownership shall generate economic and/or functional benefits in the long term. As the operational environment changes and alternative solutions in public services increase, the structure of the city’s own organization and the city concern are analysed overtly to ensure that the functions and public services are organized in an appropriate manner. The population of Helsinki has been growing by an average of more than one per cent annually for the last ten years. This pace seems to keep up in the future, too. Helsinki’s growth is proof of its appeal and of people’s desire to live here. Growth is a positive thing to Helsinki, but also, at the same time, a challenge that requires resources. Curbing the differentiation between population groups and neighbourhoods is high on the city’s agenda. Maintaining social cohesion is vital for a good and competitive city also in the years to come. Ensuring comprehensive economic, social and ecological sustainability is one of the growing city’s key goals. This is monitored and reported along with indicators, in sync with the planning rhythm of the city’s operations and finances. Social inequality is reduced particularly through high-quality teaching and early childhood education for children and adolescents. This is why Helsinki aims to raise children’s enrolment in early childhood education. The funds for the verifiably successful positive discrimination –funding will be moderately increased and will also be targeted towards vocational training and upper secondary education. Each and every school in Helsinki should be good enough to make parents happy to choose their local school. Growth implies obligations to the city. We need enough jobs, housing, day care centres, schools, libraries, sports facilities and healthcare services. Traffic and transport have to work well. We must take care of the vulnerable. A big city holds a broad spectrum of human destinies. A growing Helsinki needs actions to build equal opportunities, which means above all investment in education. There are also many people in Helsinki, who are struggling with shorter or longer periods of severe problems: our social security policy must therefore be humane and one that intervenes early enough and has a long enough duration. The city promotes measures to help as many as possible get a foothold in working life and be able to manage their and their families’ lives on their own. Making use of immigrants’ knowledge and skills on the labour market and in society at large is a condition for successful integration. The social divide in residents’ realities is one of the greatest urban problems in large cities globally. In Helsinki, the differentiation between different neighbourhoods in terms of income and wellbeing is taken very seriously. By international comparison, Helsinki has managed to control such differentiation better than most peer cities. In the future, too, Helsinki will strive to hold its position as a textbook example in Europe of how to prevent segregation. Consequently, Helsinki strives to enable equality and wellbeing in all districts. A well-functioning housing market plays a key role in responding to the challenges of growth. The aim is to build 6,000 homes annually in the first half of the city council’s term (2017-2018) and 7,000 annually in the latter half (2019-2021). Helsinki is addressing the production of affordable rented housing in accordance with the AM Housing and Land Use Programme and actively scans for measures to control housing prices. 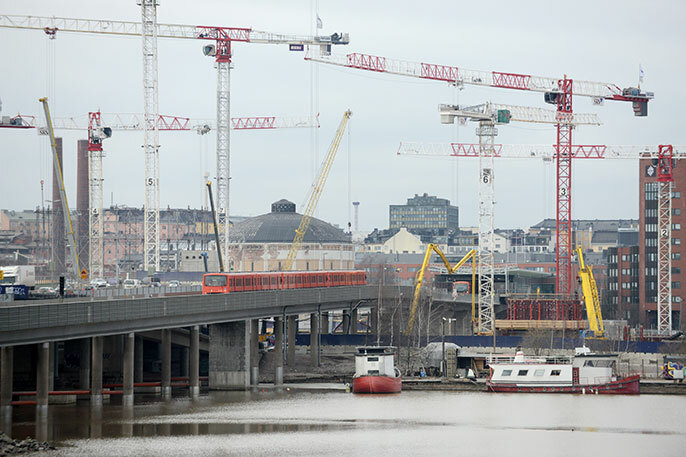 Helsinki caters for housing production by planning for 600,000 – 700,000 square meters of floor space annually and providing a sufficient number of sites for building. The city curbs the costs of construction and densifies the city structure by gradually moving – without risking its competitiveness and accessibility – towards an areal and market-driven parking system, starting in the new housing developments. In Helsinki, traffic infrastructure investments and land use are always planned together. Traffic infrastructure investments are made to secure the functionality of the entire traffic and transport system and infrastructure. The share of travel made on sustainable means of transport will be increased. All modes of transport will be developed and those kinds of transport that are key to business will be secured. Planning of the implementation of the city plan will start with the Vihdintie boulevard. Planning of the light rail line in that area will proceed to the decision phase during the Council’s term, and planning the Tuusulanväylä boulevard will move forward. The conditions for building a light rail line to Malmi will also be investigated. Development of the tramway network in central Helsinki and the implementation of the tramway plan for the Kalasatama area will proceed. Alongside the new housing areas being built in Helsinki, also infill construction will be enhanced. The vicious circle of exclusion from, especially, education and employment is one of the most serious problems of our society today and a worrying consequence of a social polarization that is accentuated in metropolises. It is important to alleviate this problem – both from a human and an economic perspective and in view of promoting safety, comfort and business interests. Together with relevant partners, Helsinki will launch an extensive and comprehensive project to find systemic solutions to the challenge of disaffected youth. The project will especially look at exclusion across generations, and on that basis introduce new ways of breaking the cycle of exclusion. People who are difficult to employ or have a limited work capacity will be helped with finding employment. Special attention will be paid to the fact that the proportion of young people not working or studying is clearly larger among those whose mother-tongue is another than Finnish or Swedish. The Ohjaamo (Navigator) -model will continue. In Helsinki, the chain of public services for children and adolescents is strengthened at the basic level, namely in the local maternity and child health clinic, the day care centre, family counselling, school health care, school, youth work, health services and child protection. A condition for equal and good life for everyone is high-quality mother and child health, day care, schools and leisure services across the city. Helsinki will, when needed, apply positive discrimination. Education for those in need of special support is provided by organizing appropriate facilities for the hospital school. 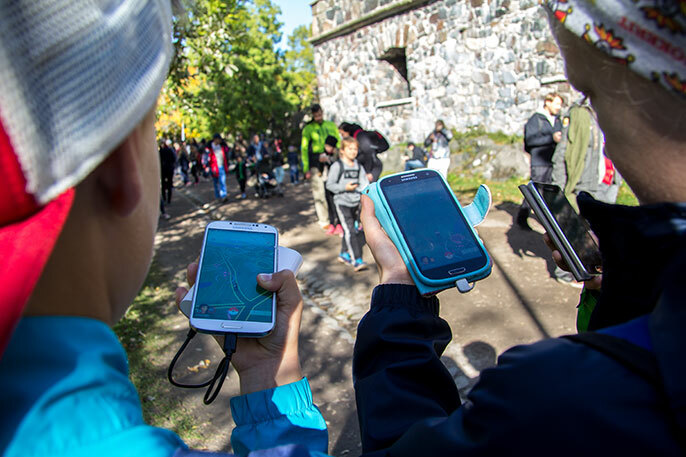 The objective of the City of Helsinki is that every child and adolescent has a hobby, that young people believe in Helsinki as their future home and that they are able to influence matters in Helsinki. Reducing inequality extends farther than to just children and adolescents in Helsinki. Also among those residents that are of working age or older, the city seeks to identify groups of individuals of vital importance for the prevention of exclusion, and to tailor individual and better service concepts for them. The idea is to reach out to residents needing help and support at an earlier stage – particularly those who need much support or care. Efforts will be made to find such individuals and to prevent loneliness. Socioeconomic and local differences in health and wellbeing will be reduced using methods based on research and effectiveness. Welfare differences and differentiation are monitored, and measures to deal with them are put in place, to be followed up at city level. To create opportunities for equality to be realized, the city ensures that its facilities are easy and safe to use for educational, civic participation and cultural activities. Temporary use of public spaces and empty premises for cultural and civic activities will be facilitated, and the city will seek to promote the use also of other underused premises than just those owned by the city. The Oodi central library and the Bunkkeri sports facilities in Jätkäsaari will be carried out in a way that does not jeopardize local services. Helsinki promotes the mental health, activeness and substance-free life of its residents and, in accordance with its program for the care of the elderly, strengthens the autonomy and participation of elderly people. Helsinki actively fights homelessness. Helsinki residents are employed in jobs that match their skills, training and talents. The city’s measures and services to promote employment are especially directed towards those groups where participation in the labour market is lowest. The city underlines investment in education, employment and inclusion for second-generation immigrants, in particular. Qualifications that immigrants have acquired in their country of origin are identified and acknowledged flexibly, and the skills of immigrants are, whenever possible, put to the labour market’s disposal. Entrepreneurship is encouraged as one way of finding employment. Helsinki is a strong, vibrant and multicultural promoter of liberal democracy and tolerance. A growing Helsinki fosters a culture permitting pluralism and enabling encounters between population groups. The city prospers and evolves in an atmosphere characterized by the learning of new skills and ideas, openness and respect towards other people, and thrives as a place where people include each other and give each other space. Helsinki offers many opportunities for equal encounters and for shared activities between people from different backgrounds and situations in life. Top-quality and easily accessible cultural and sports offerings bring people together and increase mutual understanding. Treating people as equals and with respect is a requirement for the city’s growth and change to appear as a positive thing to everyone. Being international is a value in itself to the city, but it is also a central goal in the city’s business policy. Helsinki’s growth creates possibilities for the creation of new jobs. A pleasant city whose residents are highly educated will attract foreign companies, investments and tourists. To increase Helsinki’s international appeal, a deliberate internationalization of the city is required. Employment-based immigration and its share of total immigration are encouraged and increased. A high standard of education is an important reason why international experts choose to settle in Helsinki. The capacity for English-language education and early childhood education will be doubled. The language skills of Helsinki citizens are to be diversified by increasing language immersion and language-oriented training and education. In Helsinki, tuition in the first foreign or second national language will start already during the first school year. The tuition of Chinese is being expanded. Together with Scandinavian networks, a common concept, Nordiska skolan (the Nordic school), is being created in Helsinki. Helsinki is a diversified and internationally attractive city of arts and culture, sports and events. The objective is to generate new distinctive attractions in the city. 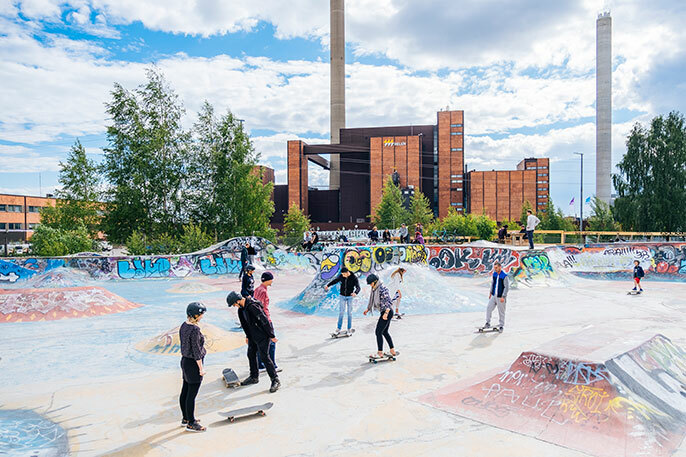 The Baana cycle and pedestrian corridor and Töölönlahti area is being turned into a high-quality and internationally known culture and leisure cluster. The possibility of making the Suvilahti area an internationally salient venue for large events is investigated. The developing network of museums will be further strengthened wherever possible. 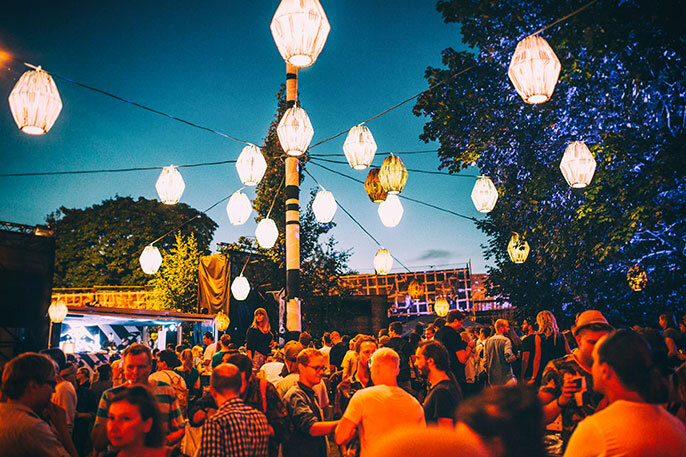 Helsinki will lighten its permit and organization procedures to make it easier to organize various kinds of events. An attractive city centre is a calling card and a must for Helsinki. The central business district of Helsinki is an attractive venue for commercial services, events, leisure and civic participation. The vitality of the city centre is being developed in collaboration with the local business community. The city is investigating the possibilities for a substantial expansion of the central pedestrian zone in order to further improve the atmosphere and functionality of the central business district, and for building an underground distributor road that would reduce traffic through the city centre as well as heavy transports to the harbours. If implemented, the distributor road would largely be funded through road tolls. The waterfront between the Olympia Terminal and the Market Square is developed into a functional whole supporting the vitality of the city centre. Together with its residents, Helsinki is developing coordinated, efficient and humane public services. The city addresses the implementation of accessible e-services and the utilization of digitalization, artificial intelligence and robotization. E-services are primary, and are available regardless of date or time. The development of services will continue. Special emphasis will be put on accessibility, diversified skills, the “one-stop-shop” principle and developing various forms of work close to residents. The city provides services and informs about them in both national languages. Helsinki provides electronic services wherever possible and appropriate and also systematically collects feedback electronically. The wellbeing of staff and their participation in the updating of services is emphasized. 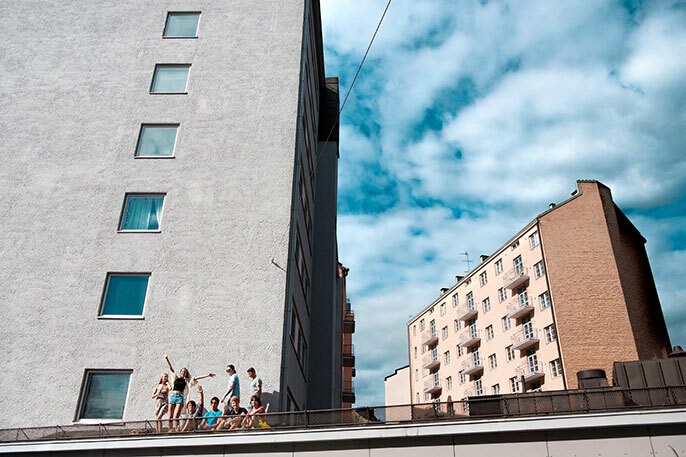 In Helsinki, the whole city is utilized as a place for learning for people of all ages. Digital technology enrichens the learning process and enables learning regardless of time and place. Education is diversified and expanded through partnership networks between institutes of higher education, companies, the third sector and various city actors. 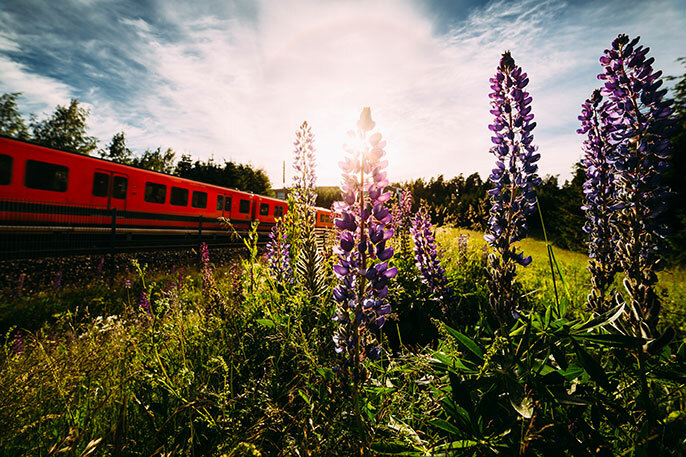 For all those studying in Helsinki to have equal opportunities to learn about their home town, the possibility to exempt school classes from public transport fares is being looked into. Helsinki ensures that all residents have the chance to acquire and strengthen the skills needed in the information society. Helsinki is building an Älykoulu (Smartschool) operating model where future pedagogical solutions will be innovated and implemented. Digital analytics provides an enabling environment for learning to progress at an individual level. Digital services lower the threshold to seek education and for reorienting studies at transition stages. Helsinki invests in the kind of physical learning environments that promote the learning of skills needed in working life and in the information society. In the Myllypuro district, an internationally interesting campus is being established in connection with Helsinki Metropolia University of Applied Sciences to educate polytechnics and secondary level professionals for the construction industry. The construction of the Urhea sports academy campus bringing together studies, sports and housing will be promoted at Mäkelänrinne school. Education and training increase the competitiveness of the city and create vitality and knowledge. Vocational training based on foresight creates good conditions for jobseekers and immigrants to find employment. To raise the skill levels of immigrants, Helsinki is drawing up a development plan to enhance the skills, education and training of immigrants. The plan spans the whole learning career from early childhood education to adult education. The Centre of Expertise model is developed further, and State funding will also be sought for it. A fast track to studies of either national language of Finland will be created for asylum recipients. The city will secure children’s teaching in Finnish or Swedish as a second language sufficiently. Helsinki is made into an innovative, experimental city for lifelong learning. Collaboration with leading Finnish and international universities, cultural institutions, developers and companies will promote the creation of a new ecosystem of experimenting. Helsinki is an excellent place for studies and science. Students at institutes of higher education are an important part of Helsinki’s future appeal and vitality. The city cooperates closely with the universities, other institutes of higher education, and students networks in the Helsinki Metropolitan Area to promote both the conditions for international-level tuition and research and the city’s strategic goals. Helsinki residents have equal opportunities for education. Finnish- or Swedish-language early childhood education and basic education make for attractive, nearby education services. 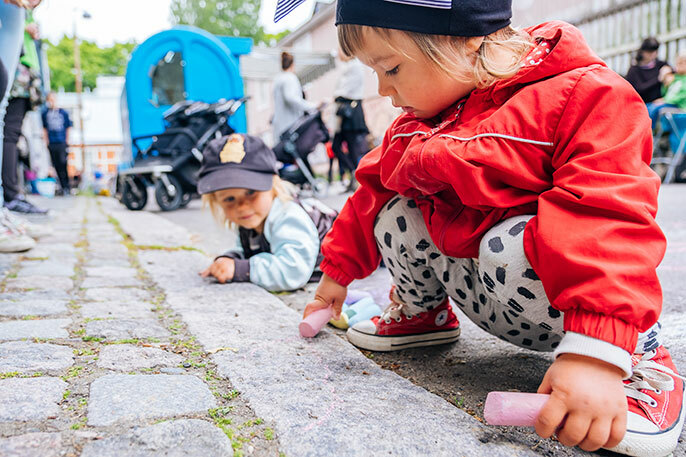 Helsinki will maintain its citizens’ subjective right to child day care services at the current level. The principle of free early childhood education is promoted so as to be free of charge for at least four hours a day starting at the age of five. During the Council’s term of office, decisions will be prepared to extend this principle to even younger age groups as well. Early childhood education emphasizes quality, staff permanence, and a safe everyday life. Schools in Helsinki are engaging in an ambitious program against school bullying. Helsinki puts the training guarantee into practice. This means that after basic education, everybody gets a study place at an upper secondary school or vocational training. Helsinki’s goal is to reduce the school dropout rate also at upper-secondary level. The city will ensure that education reaches those young people better who have no secondary-level education. Liberal adult education provides resident-oriented courses based on the changing needs of customers. Each Helsinki resident has the chance to achieve their learning potential. Pedagogics and support for studies level out educational differences by responding to the needs of both the weak and the strong learners. In Helsinki, children and adolescents have safe and sound learning environments. Helsinki actively collaborates with the State, other larger cities, higher education institutes and researchers, as well as the construction industry to find functional solutions to problems with public facilities and, especially, indoor air in schools. The city is drawing up a Real Estate Strategy, which outlines the planning, construction, maintenance and ownership of the city’s properties. This strategy includes a plan for how to repair or replace buildings where schools, day care centres or play parks suffer from indoor air problems. The objective is to promote the efficiency of use of premises, better utilization of redundant valuable buildings, and to improve the quality of the building stock, upgrade quality risk management etc. using the Life Span Model, and reduce indoor air problems. Too little exercise is one of the chief factors that mar people’s wellbeing today. Only one-quarter of the population exercise as much as they should for their health. 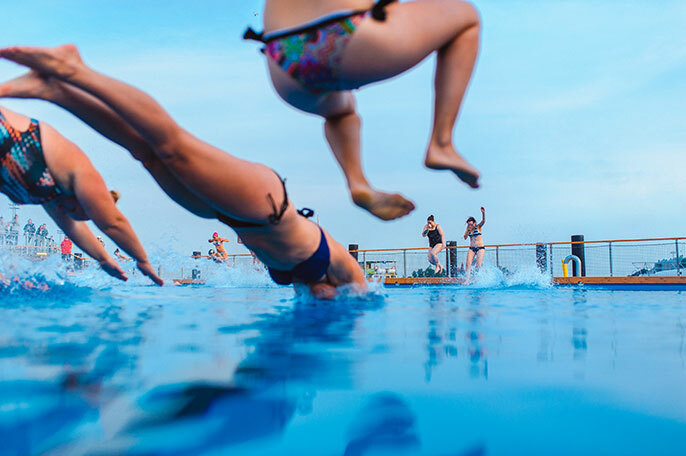 Helsinki is creating the cooperation structures needed for promoting health and wellbeing and is setting out to highlight increased exercise as a pilot project in its promotion of health and wellbeing. Exercise is increasingly promoted in services provided by the city. The urban environment and the provision of sports and culture offerings are being developed to encourage exercise and everyday physical activity in all districts alike. Children and adolescents are increasingly made to exercise as a part of their everyday life at day care centres and schools. The city is planned and built so as to take into account different kinds of users. Differences between population groups are identified, and services are targeted towards those needing special support and towards high-risk groups. Helsinki actively invites ageing people to participate in exercise and cultural activities. To support the mobilization of residents in this way, the city is launching a marketing and information campaign. To promote health, the city works on increasing the functional ability of residents and their opportunities for safe self-care and autonomy in their homes. Home care and the wellbeing of its customers and workers are being strengthened in Helsinki, and acute situations are prevented as much as possible. Special attention is paid to the opportunities for functionally impaired persons such as old people to lead an eventful life. Services for the elderly are developed as a whole reaching from early support to the final stages of life. Access to 24 hour care is ensured when it is no longer possible to give safe care at home. The availability and quality of services are evaluated regularly. Helsinki will build up the kind of health and social services that its residents will wish to choose. Regardless of how the social welfare and health care reform proceeds, Helsinki will develop these services and their availability. The “one-stop-shop” principle is being strengthened and access to care facilitated so as to ensure timely help. Opening hours will be extended and practices smoothed to improve service results and client experiences. Health care centres will remain free of charge. Special attention is paid to the needs of and services for the most vulnerable population groups. Helsinki participates in the preparation of the health, social services and regional government reform to ensure that issues important to a big city are taken into account. Helsinki guarantees the continuity of services when the responsibility for arranging social and health care transfers to the counties, and will also coordinate the special health care services provided by the city with those provided by HUS, i.e. the Hospital District of Helsinki and Uusimaa. The city will identify new shared areas in services and make sure that resident services function smoothly between the city’s administrative sectors, the county and other actors. Helsinki will ensure that in the reform, organizations of importance to residents have good conditions for low-threshold health and social services. Helsinki is a city where all neighbourhoods are living, pleasant and distinctive and in which residents feel they are at home. In Helsinki, diversified and vital neighbourhoods are built by increasing residents’ influence over matters in their living environment. The city invests both in infrastructure and in residents all around the city. Helsinki supports local initiative and cooperation among residents and communities. Residents’ ways of influencing are seen to, and democratic management is secured in city owned rental apartments. Infill construction helps develop both public and private services. A compact and functionally mixed urban structure provides a basis for urban life. Each neighbourhood in Helsinki has the makings for good everyday life, well-functioning traffic, and for diverse local services and business. The profitability of large local building projects and of the Jokeri Light Rail Line and other rail connections will be secured by sufficient efficiency in land use. Housing provision will be diverse – both in new developments and in infill construction sites, dwellings of all tenures will be built, ranging from Helsinki’s own social housing to non-subsidized owner-occupied housing. The aim is to reduce differentiation and welfare differences between neighbourhoods in Helsinki. Helsinki is a pleasant city where an interesting cityscape creates good opportunities for encounters and wellbeing. Its architecture is interesting, diverse and of high standards. The high quality of construction gives the city a strong identity and public image. Helsinki wants to be Finland’s best city for companies. Its urban milieu provides a good growth platform for corporate innovation and an attractive living environment for the labour force. Helsinki creates opportunities for growth by adequately and flexibly planning areas for business and employment. Helsinki supports the business ecosystem and clusters by providing varied locations in easily accessible places. Helsinki considers how to better stimulate innovation-driven entrepreneurship in its own public procurements. The Teollisuuskatu axis is being developed as an important workplace zone and an expansion potential for the city centre. The city actively strives to develop the logistics conditions for the business community. The reduction in traffic emissions is progressing and health-hazardous emissions are showing a clear decrease. Helsinki is a pioneer in overall functional smart traffic systems. Due to technological advances, a growing sharing economy and a general ambition to reduce emissions, traffic and transport are becoming one of the fastest-growing sectors today. Helsinki is strongly engaged in this development together with the business community, the State and with other local municipalities in the Helsinki Region Transport area. The city encourages a transition into a demand-driven traffic system. Helsinki serves as a testing platform in the commercialization of new smart mobility solutions enabled by current transport legislation (incl. the Mobility as a Service model) and in the promotion of tomorrow’s technologies. Helsinki cherishes its valuable wildlife and acts to increase the diversity of the urban natural environment. The ecological quality, accessibility and health effects of green and blue areas will be ensured. The Luonnonsuojeluohjelma nature conservation program is implemented and the forest network is strengthened. The state of Helsinki’s waterways, both inland and coastal, is improved, and attention given to the recovery of migratory fish stocks. In forest and woodland management, the main goal is a planned increase in diversity. To further a cost-efficient management of rainwater run-off, green areas will be increased in the urban structure. Diversity will be enhanced in city parks. During the present Council’s term, a decision will be made regarding the National Urban Park project– on completion of the current study. Helsinki’s maritime location is part of its fundamental nature and appearance. This dimension has not been sufficiently utilized as an attraction factor for the city. Efforts to make the archipelago off Helsinki’s shores more accessible for the public will continue. To encourage recreation, upgrade tourist services and increase the general appeal of the city, a maritime strategy will be drawn up to find ways to improve the accessibility of maritime areas, develop services in the archipelago and promote seaside events. Helsinki’s archipelago will be made into an even more enticing tourist attraction and recreation area. An international public arts biennale benefiting from the charm of the Helsinki archipelago will be created. In whatever it does, Helsinki underlines ecological values and, consequently, strives to join the C40 climate network of the leading cities of the world. Helsinki profiles itself as an internationally networked pioneering local implementer of global responsibilities. Helsinki takes its own responsibility for the prevention of climate change seriously and ambitiously. Helsinki sets the goal of reducing emissions by 60 per cent by 2030, and brings forward its target of carbon neutrality to 2035 instead of 2050, as earlier. Helsinki is preparing for a possible decision by the State to forbid the use of coal in energy production. Here, Helsinki will need consistent State support to develop solutions to compensate for this. The carbon neutrality goal is set in a way that corresponds to general practice in Finland. The energy efficiency of buildings will be improved both in the construction of new and the renovation of old buildings. Helsinki’s energy efficiency norms are more ambitious than the national minimum level. Helsinki strives to combine renewable energy sources with energy efficiency in an optimal way, both in individual buildings and in areas. Traffic emissions will be reduced across the city’s transport system by promoting both cycling and pedestrianism and by raising the share of e-vehicles and buses and rail transport. Helsinki paves the way for a strong surge in the number of e-vehicles by enabling the market-driven construction of a public charging infrastructure. The use of renewable energy sources will be increased on both a large and small scale. A scheduled action program for implementing emission reductions will be drawn up before the end of February 2018. The report of the city’s Climate Work Group and the approved development program of Helen, Helsinki City’s power company, form the basis of this work. The city’s economy is managed in a responsible, sustainable and productive way in order to ensure public services for residents in the long term and for Helsinki to be a competitive location for companies. The planned regional government reform will give rise to exceptional uncertainties for the city’s finance in the coming years. After costs and the tax income transferred from Helsinki to the county, the city’s tax-based financing in proportion to the need for investments in a growing city would decrease substantially. The city’s local tax revenue would decrease by two thirds. Meanwhile, the city’s existing loan stock would remain unchanged, which means the relative indebtedness would increase materially. The role of State finance for the city’s economy would be proportionally bigger than today – a circumstance which adds to future uncertainties about finance. The investment capacity of a growing Helsinki has to be ensured under all circumstances. Challenges are foreseen by keeping total investment at a level that can be funded during the strategy period without adding to the per capita indebtedness of the city. During the first half of the Council’s term of office, an assessment of land policy will be made, with the principal on land sales decisions being based on the business policy and other strategic goals of the city. Helsinki’s finances are based on a taxation that is steady and predictable for residents. A high rate of employment is the basis for a steady city economy. The goal is to raise the employment rate, which will be reflected in a faster rise in taxable revenue per capita in Helsinki compared to other municipalities of the Helsinki Region. The objective during the Council’s term of office is to increase the share of corporate tax that goes to Helsinki to a level of above 30 per cent. Helsinki takes its own responsibility for balancing public finances, and sees to an improvement in the city’s total productivity. The needs of a growing city and changing cost levels will be taken into account when scaling total operational expenditure. This will be done particularly concerning basic services as they are the ones that growth raises the costs for most directly. The enhanced functionality enabled by the recent organizational reform will be harnessed to cover – with a 0.5 per cent annual rise in productivity – a part of the increase in operational expenditure caused by population growth. Total productivity will be improved by investing in management and leadership and in good cooperation with staff, whilst also ensuring the quality of public services. The competitiveness of services will be secured by modernizing them. Helsinki strives to reach the average unit cost levels of other large cities. Investments are guided by effectiveness and correct timing. The level of investment is set so as to ensure the investments required by the city’s competitiveness, housing policy goals and transport system. Decisions regarding when the most important new area developments are to be built will be made during the strategy period. The level of renovation investment in the city’s service facilities will be raised in accordance with the Real Estate Strategy so as to ensure the usefulness of an efficient facility network. The focuses are on the safety and healthiness of facilities. Investments necessitated by indoor air problems will not result in rises in rents charged for facilities. The city pursues responsible HR policy and invests in good leadership. Helsinki will not dismiss permanent staff for financial or production-related reasons. When the health, social services and regional government reform comes to effect, the assumption is that some staff from the city’s administration and support services, too, will be transferred to the county authorities to an extent corresponding to duties transferred. Global competition increasingly means competition between cities and city regions rather than between states. Urbanization as a global megatrend continues. Helsinki’s predicted strong growth highlights the role of Finland’s only metropolis as a guarantee for the wellbeing of the whole country. The State’s responsibility for Helsinki grows, as does Helsinki’s responsibility for the whole country. Helsinki will be increasingly different from the rest of Finland. Helsinki becomes more international and diversified at a faster pace than the rest of the country. For example, housing forms and ideals, exercise and leisure habits and preferences are increasingly diverging. The spread of urban lifestyles influences residents’ values and attitudes and widens the mental gap vis-à-vis the rest of Finland. There is a growing need to increase mutual understanding and soften harmful tensions between various parts of Finland. The city strives to raise public awareness of the special character of the country’s only metropolis. Success for Helsinki is in the interest of Finland as a whole. Helsinki seeks to find the kind of functional and sustainable cooperation with the State that compares with such cooperation in other European capitals. Aspects concerning growing city regions are relevant to other regions in Finland, too, and urban policy is vital for the wellbeing of the whole country. Helsinki consolidates its own interest in Finland, forwards the creation of a modern urban policy agenda, and ever more actively creates partnerships with the rest of the Helsinki Metropolitan Area and with other big cities in Finland. Helsinki will strengthen its international activities with a special focus on digitalization and on combating climate change – two factors that are among the strongest global change factors and that unite all leading cities today, and thus make for good profiling areas in international relations. City diplomacy is harnessed for business interests in Asia, particularly China. Helsinki prioritizes Beijing as a partner city and promotes the stopover concept together with the State and the tourist industry. The Twin City concept with Estonian capital Tallinn is continued, cooperation with the rest of Scandinavia is promoted and urban relations to Russian cities are strengthened. To be of even more use to the favourable development of the whole country, Helsinki raises its own ambition level at comparisons between leading cities in the world. The city selects a few serious international benchmarks and rankings and follows them systematically to try to improve its ranking. Helsinki is aware of its position as the shared capital of all Finnish citizens. To foster a sense of belonging together, the capital increases its interaction with other parts of Finland.